The station is located on a special 30m - wide site within the central reservation of the dual carriageway linking the airport with the Athens Ring Road (Attiki Odos). 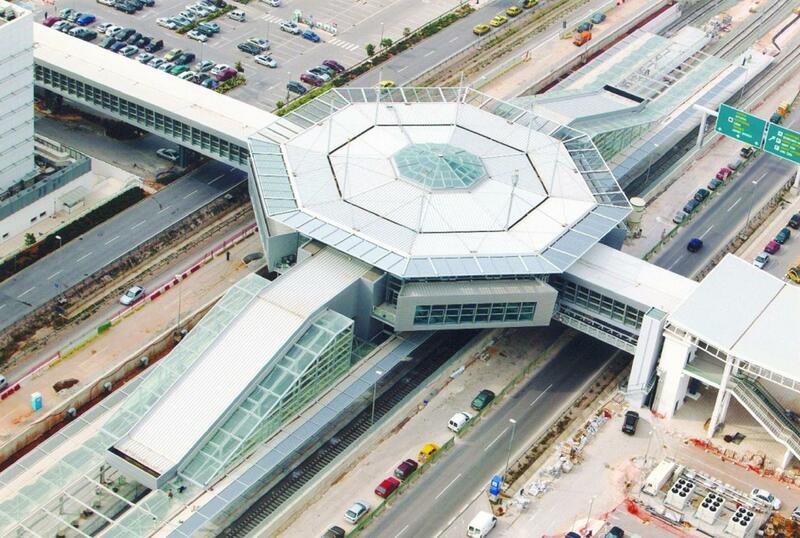 It comprises the main terminal and sheltered platforms and is linked with the existing pedestrian bridge. The main terminal is an impressive sight, with its octagonal grid formation of beams supported by a radial suspension system.